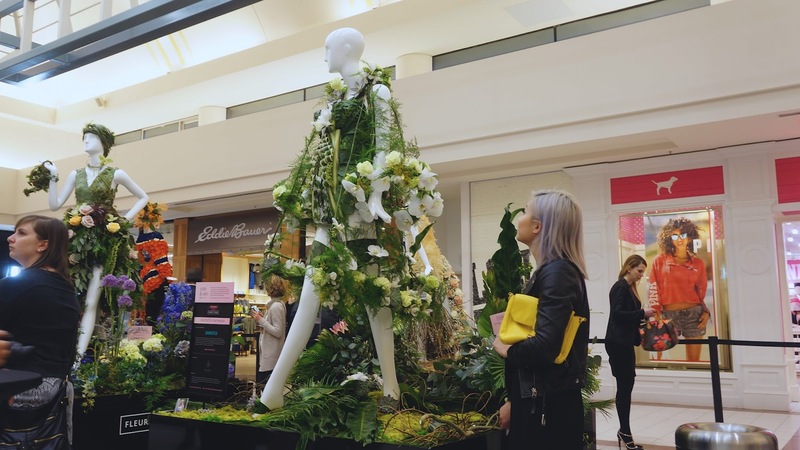 I was lucky enough to be invited to Fleurs de Villes' Floral Mannequin Series at Southgate Centre! 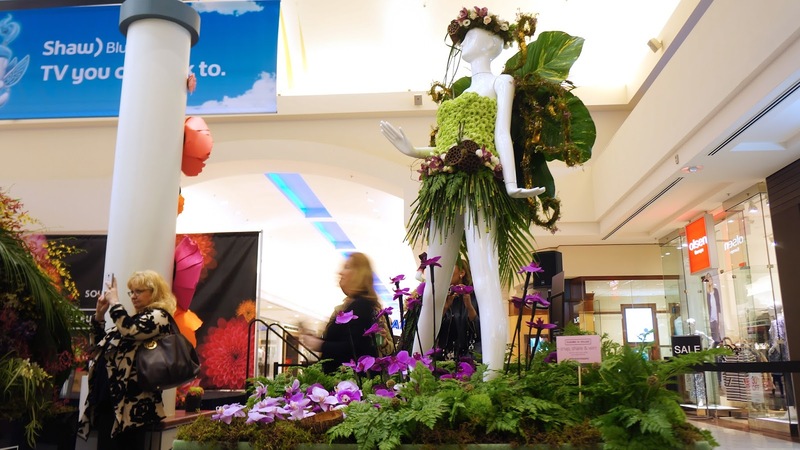 It is a five-day event taking pace that exhibits top local Edmonton florists paired with brands to create floral dresses and bring the mannequin to life! 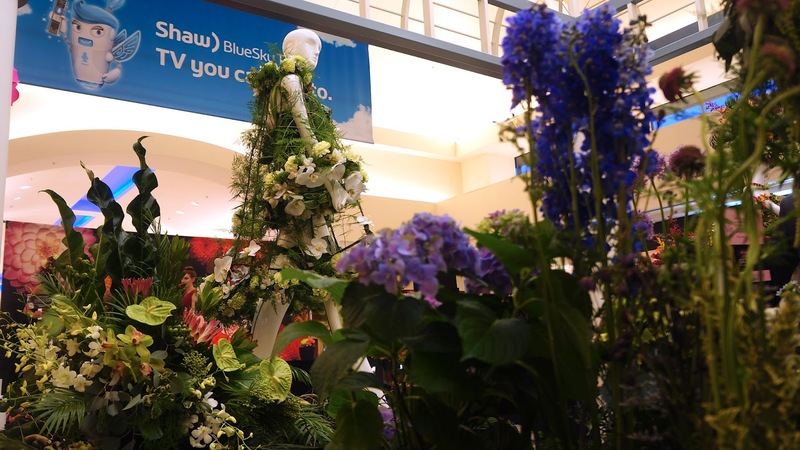 And make sure you try to stop by on Saturday, April 22, as Southgate Centre will have an all-day long pop up flower market - you can buy fresh cut flowers, bouquets and much more! Honestly, this event was beyond amazing. To see each artist's designs and techniques was beyond amazing. The ideas and artistic side of it is just amazing because let's be honest, someone like me could never do something like that! And the photos I have here don't even do the mannequins justice. The one that I really loved (and wish I got a photo of) was the mannequin of a mother. 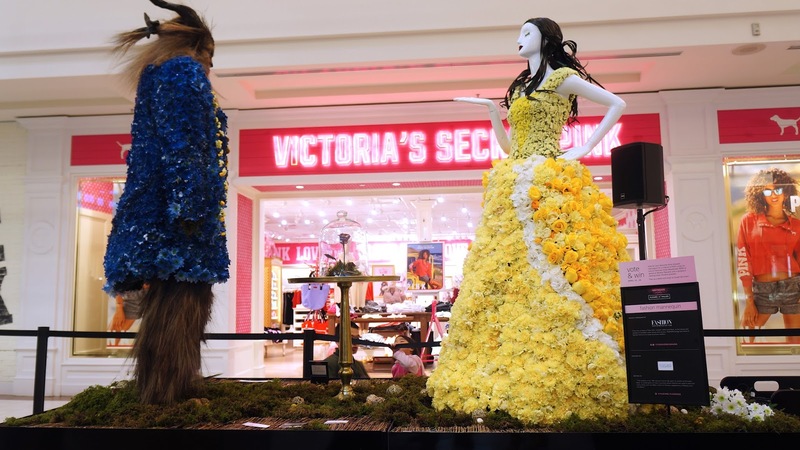 It was just touching to see that someone saw a pregnant mother as beautiful to recreate with blooming flowers. But hey, don't listen to me - definitely head to Southgate Centre and check them out for yourself and just fall in love with all of them! Southgate Centre features 165 stores, including unique stores like Crate & Barrel, LEGO and Restoration Hardware. 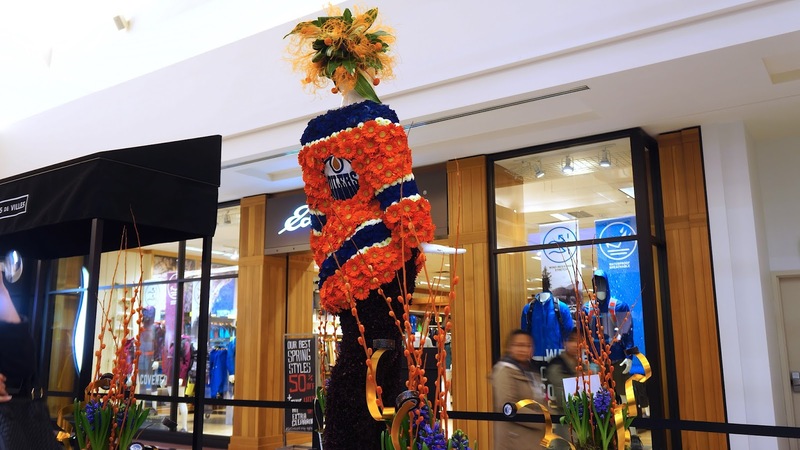 In it's elevated, upscale environment, Southgate Centre attracts the best and brightest of Edmonton's fashion and is committed to elevating Edmonton's retail.